‘My latest search’ and ‘My saved search’ options allow you to keep track of the properties you’re interested in. Horoscope matches feature, for the more spiritual BrokeinLondoners! Don’t forget to use the SMART agent to get an advantage in your property or roommate search. 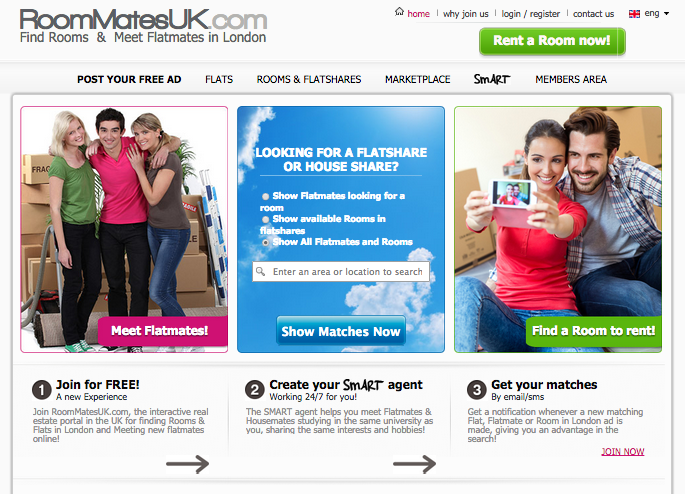 Whether you’re looking for a place to stay or someone to come and stay in yours, roommatesuk.com can help you out. With an easy to use website, profiles added daily and the options to get real time updates, your search shouldn’t take too long. Go back to our Long Term Accommodation in London category to check out a list of all the best websites for accommodation in London.